First and for most Joey Bada$$ is not just that ordinary high school student we all know or knew that “Raps” and just claims to be making “Power Moves!”, he proves this by dropping this mixtape. 1999 displays some of the realest and graphic displays of being just a young black kid living in New York. 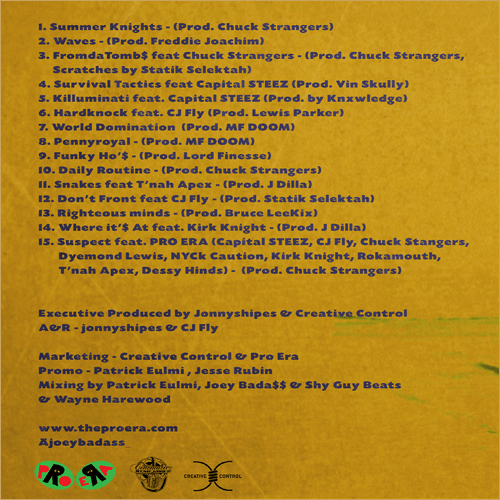 With songs such as “Hardknock”, “Waves”, and my personal favorite “Daily Routine”, Joey Bada$$ raps and paints a picture through the listener’s mind with the lyrics he is spitting over the well sampled beats (The Highways of my life by The Isley Brothers). 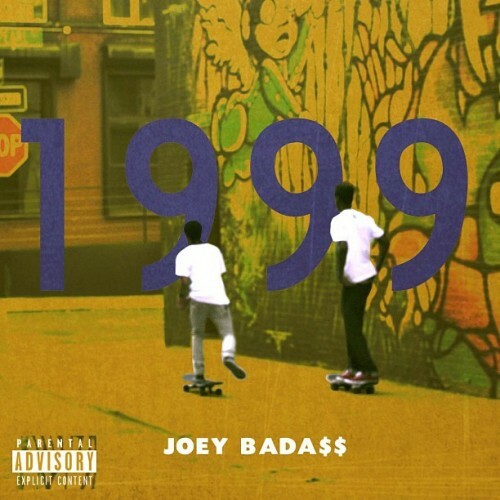 Although 1999 was great, I felt it had a lack of originality based on the format of how the mixtape was put together. However the impact of this mixtape was great, it did not give Bada$$ the mainstream recognition he deserves but it gave him a buzz throughout the country. With the skills this 17 year old emcee has, Joey Bada$$ has potential to be one of New York’s best this generation of rap has to offer. The skills this young blood demonstrates with his debut mixtape allowed him to release another mixtape called Rejex with a collection of songs and rhymes that was written by the emcee back when he was only 15 years old that didn’t make the mixtape. Will Joey Bada$$ live up to the hype or will he become just another New York based emcee bust like my favorite Burger King Janitor Mims? Will he become the future of not just New York but this whole rap game? I guess we all have to find out but until then, lets just sit back and bump 1999. I simply want to say I’m very new to blogging and actually loved this web blog. Probably I’m want to bookmark your website . You certainly come with incredible stories. Thanks a lot for sharing your web-site.